Mounting the banners on the central intake location was covered in Pt 1, because it's centralized it's probably the most balanced looking option for a single banner however you may find that you want one of the banners mounted to one side. Perhaps you want to have a shoulder or jet pack mounted weapon which might look cluttered so close to the banner where an off set banner might be preferred. Or you might want to mount a pair of banners with one on each side. Referring back to the photo with cutting guide lines you will want to use the left-most line as your guide. You only want to remove the triangle shaped section (not other portions of the engine) So you don't want to cut any deeper than the cylinder. I've long been a fan of things relating to the Japanese samurai culture. 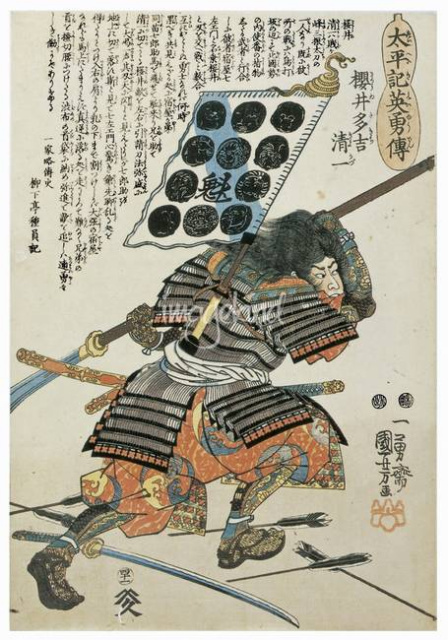 Samurai armor has a very distinct look and has a lot of unique features, one of the most striking elements of their battlefeild armor is often the Sashimono, or the back banner.